 Jaisalmer Yellow Marble is loved by homeowners and architects for its natural yellow-orange texture. It comes up in stunning shades making it a classy choice for home and office. The texture depends on the chemical constituents, size, and uniformity of grains. Apart from the wonderful texture, the quality that makes Jaisalmer Yellow Marble stand apart is resistance to water and durability. Jaisalmer Yellow Marble is quarried from mines located in Jaisalmer, Rajasthan, it is the reason it is also called Desert Gold Marble. Kushalbagh Marbles Private Limited, located at Banswara, is the biggest supplier and exporter of Jaisalmer Yellow Marble. We are supplying Jaisalmer Yellow Marble to all over India and have also exported it to more than 20 countries around the world. In addition to them we have Boteys available for handicraft manufacturing. Apart from that we can make custom made orders for counter tops, thresholds, steps and risers, etc. of Jaisalmer Yellow Marble. Flooring, Kitchen Countertops, Wall Cladding and Table tops. Vanity tops, Basin, Steps and Risers. To fill out the enquiry form, please click here to get the best quotation for Jaisalmer Yellow Marble.